The strike is also to protest against the closure of Kashmir's main highway for civilians for two days in a week and recent attack by the police and the security forces on inmates at Central Jail in Srinagar. Separatists have called for a strike on Thursday to protest against the polling for first phase of Lok Sabha elections in Kashmir and the "NIA aggression" against Hurriyat Conference leaders and their kin. Jammu and Baramulla Lok Sabha constituencies are going to polls in the first phase on Thursday. "The complete shutdown (Hartal) is against the so-called Indian parliamentary elections that are going to start from tomorrow from Baramulla parliamentary constituency, against NIA aggression including shifting of JKLF chairman Muhammad Yasin Malik, rigourous questioning of Mirwaiz Umar Farooq and repeated summoning of sons of Syed Ali Shah Geelani to Delhi," the separatists said in a statement on Wednesday. They said the strike is also to protest against the closure of Kashmir's main highway for civilians for two days in a week and recent attack by the police and the security forces on inmates at Central Jail in Srinagar. 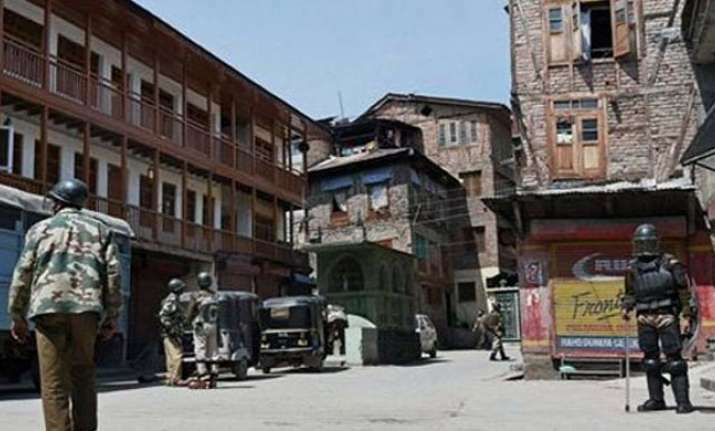 Appealing to the people to stay away from voting, the separatists said the shutdown will be observed in areas which are going to polls in the valley in subsequent phases of the elections.